Refugees living in Bangladesh camps protest and demand rights, 12 months after fleeing Myanmar army’s brutal crackdown. Rohingya refugees have held demonstrations in Bangladesh to mark one year since Myanmar’s army launched a brutal crackdown of the mostly Muslim minority, forcing hundreds of thousands to flee across the border. More than 15,000 gathered on Saturday at the Kutupalong refugee camp in Bangladesh’s Cox’s Bazar to demand justice for what they called “genocide” committed by Myanmar’s forces. The ensuing violent crackdown forced more than 700,000 Rohingya to flee Rakhine State for neighbouring Bangladesh, living in squalid conditions in overcrowded camps. “The refugees had to get special permission from the Bangladeshi authorities in order to stage these demonstrations,” said Al Jazeera’s Mohammed Jamjoom, reporting from Cox’s Bazar, which has become home to the world’s largest refugee settlement. “We saw men, women, young and old, demanding their rights, demanding justice, pleading to the international community to do more to help them, but also saying that they want to make sure that the perpetrators of this genocide – the Myanmar army – need to be held to account and brought to justice by the International Criminal Court,” he added. Rohingya, one of the most persecuted communities in the world, have been denied citizenship and basic human rights by Myanmar’s authorities since 1982. Bangladesh signed a deal with Myanmar last year to allow the refugees to return, but the repatriation process has been stalled. But little is know about the deal, and many of the Rohingya say they are afraid of returning only to be forcibly displaced again in the future. Among their demands are for Myanmar to grant them citizenship, greater inclusivity in government services such as education and workforce, the ensuring of safety and security, as well as reparations for all that they have lost. “We want to go back home,” said Mohammad Elias, member of the Arakan Rohingya Society for Peace and Human Rights (ARSPH). Elias, who fled Rakhine state in August 2017 with his family, believes there is absolutely no excuse for the Rohingya not to be recognised as citizens of Myanmar. “Our mothers and fathers are from Myanmar,” he told Al Jazeera. The UN’s refugee agency, UNHCR, estimates that children make up 55 percent of the total Rohingya refugee population in Bangladesh. A family-counting exercise conducted in December 2017 by UNHCR found more than 5,500 families being led by children under 18. 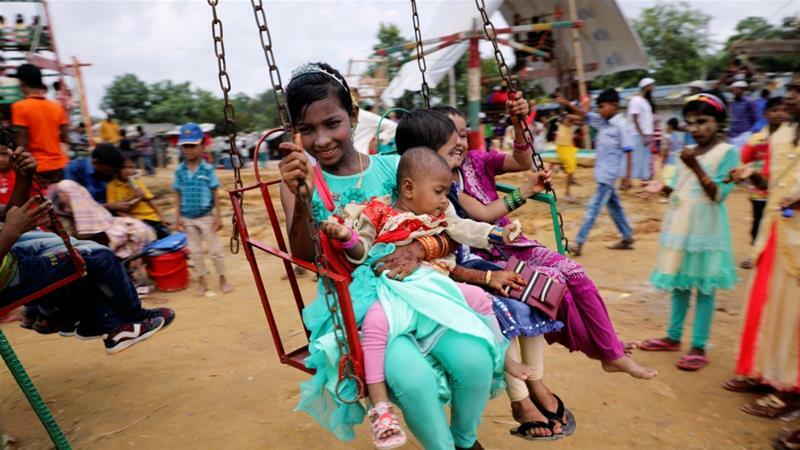 More than half a million Rohingya refugee children are being denied the chance of a proper education, UNICEF said in a report marking one year since the start of the latest influx of Rohingya into Bangladesh. Many arrived at the camps unaccompanied – either separated from their families or orphaned. “From the outset, this has truly been a children’s crisis,” said Daphnee Cook, a representative for the UK-based non-profit Save the Children. 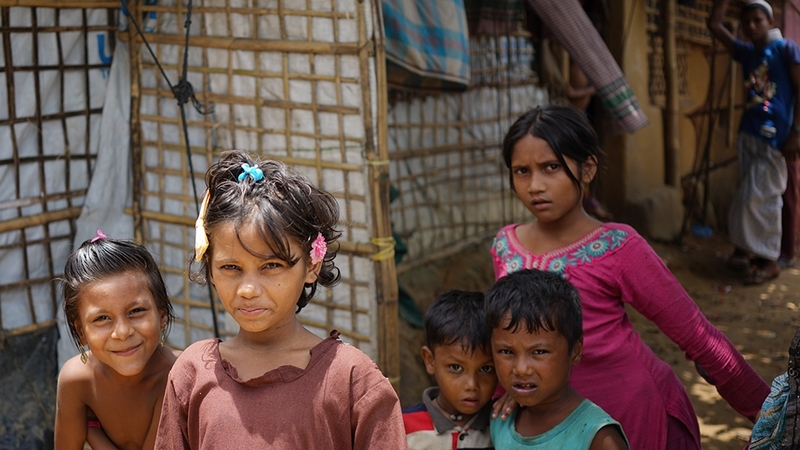 “Many children have seen their parents killed in front of them, they’ve had to endure long, hard journeys where they have arrived here with basically no food and then they’ve had to survive now in these camps for about a year now,” she told Al Jazeera in an interview at Cox’s Bazar. Previous article Why Is Honesty Mocked In Nigeria?